There are 48 boats confirmed to head out to win the over 3 million pesos in prizes, among them several new cars. 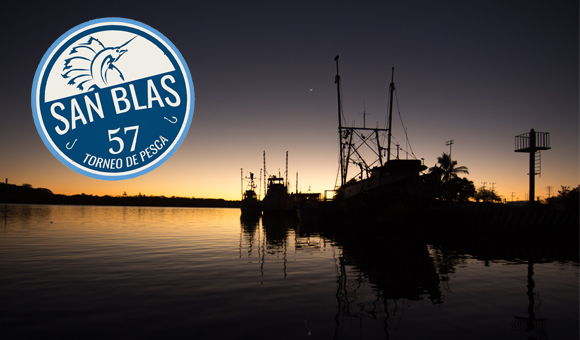 The Historic Port of San Blas is ready to receive the 57th San Blas International Sport Fishing Tournament from June 21-25, 2017, which will be hosted at the Marina Fonatur with the Tepic Sport Fishing Club as the principal organizer. The participants will compete in three categories: sailfish, marlin and mahi-mahi. There are already 48 boats registered as the deadline for registration nears, including team Mexico, the world champions in sport fishing, led by Luis Miguel García, president of the National Sport Fishing Federation. The teams already confirmed are coming in from different areas in the interior of the Republic including Guadalajara, Mexico City, Leon, San Luis Potosi and Veracruz, among others. There are also boats hailing from the United States and Canada, and, curiously enough, a boat captained by a South African angler. There are over 3 million pesos in prizes, among them a 2017 Kicks SUV for first place in sailfish, as well as 2017 March cars and ATVs for winners, among other prizes. The tournament is considered the best of its kind in the entire Mexican Pacific, a unique competition in the fishing paradise that is San Blas. This is why it’s considered one of the top ten events of the year in the Riviera Nayarit. Authorities from all three levels of government will participate actively to make the competition a great success. The Riviera Nayarit Convention and Visitors Bureau (CVB) would like to congratulate the Tepic Sport Fishing Club for having received the approval of the National Federation of Sport Fishing as a state fishing association just a few months ago.